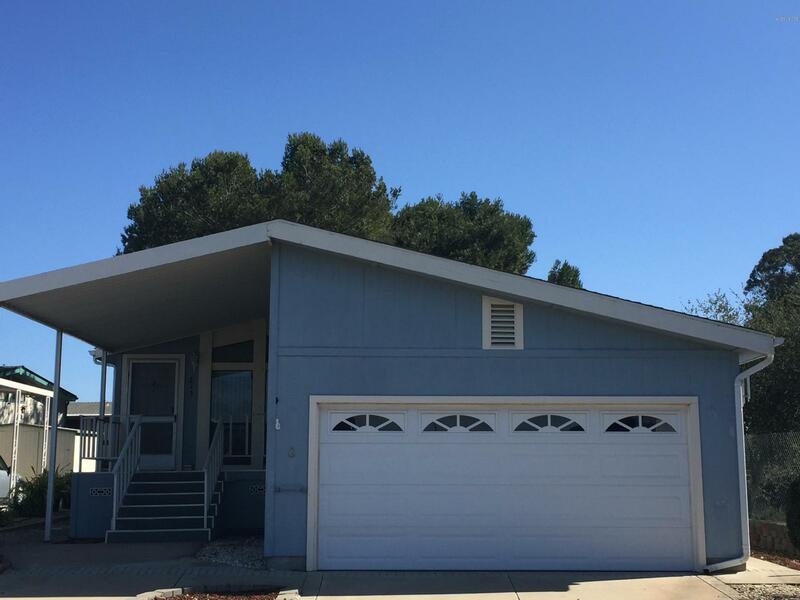 2 bedroom, 2 bath home plus sunroom in sunnyhills 55+ senior community. Open living and dining area with cathedral ceilings. Kitchen features breakfast bar, gas stove and laminate flooring. Indoor utility room with storage and access to large sunroom. Two car garage with automatic opener and built in storage. Covered front porch and low maintenance yard ready for your personal touches. Great location in cul-de-sac with no neighbors on south side and a view of the hills. Space rent $887/mo. , which includes trash and sewer. Sunnyhills is a 55+ community conveniently located near shopping and restaurants, with easy access to hwy 101. Amenities include clubhouse with kitchen, fitness room, library, pool/spa and more. Rv storage may be available for an additional fee. For more information or make an appointment to see property ID 19000550.